Is there a new McCoy or Johnson coming through the ranks? The top of the National Hunt jockeys table has already settled into a familiar format. Richard Johnson sits top of the pile, stealing a march on the others and eking out a healthy advantage prior to the resumption of the National Hunt game proper. At the time of writing this (21st Sept) he’s already 11 clear of nearest challenger Harry Skelton and 24 ahead of third placed man Aidan Coleman. A lot of it comes down to numbers, specifically number of rides, mixed in with getting on the best/right horses. That’s essentially how the jockey’s championship is won. Johnson has already had 121 more rides than his nearest competitor (Skelton) this term, by the end of last season he had been given the leg up on 160 more horses than the second placed man (Brian Hughes) and upwards of 265 on the rest of pack. The more rides you get the more chance you have of riding winners. It’s a simple equation really and at the minute Johnson is the man pulling in significantly more rides than the remainder. That doesn’t, however, get away from the achievements of these outstanding sportsmen? Far from it in fact. The reason they get the most rides is because they are the best in their sport. They are in-demand because they are at the top of their game. They’ve worked their way through the ranks and are now reaping the rewards, whilst still putting in greater and longer shifts than most of us could even dream of. It’s a grueling and demanding sport they are in but they have put in the years of hard work (and continue to do so) and it’s not by fluke that they sit at the top of the jockey tree. Johnson, especially, has put in the hard grind. He had to sit and suffer behind the greatest of them all, AP McCoy, for more years than imaginable. Year after year he was banging his pan in only to find McCoy had, yet again, trumped him and kept him firmly at bay in second. 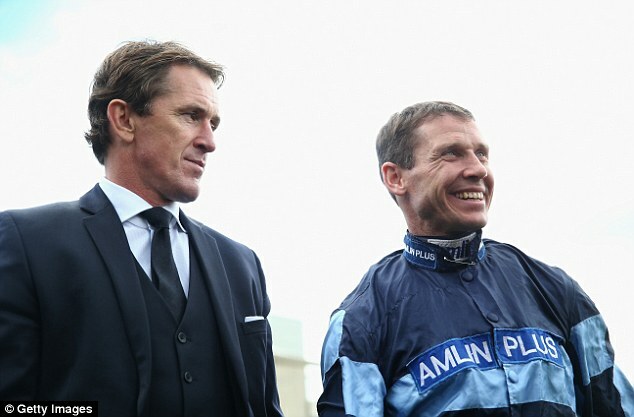 If anyone deserves a few years at the top of his sport it’s Richard Johnson. Winners are the last to give up…that’s why they win! But what about those guys currently working their way up the ladder? Those youngsters that can only dream of firing in 100+ winners a season. The ones that are trying to replicate the McCoy, Johnson, Coleman, Twiston-Davies, Walsh, Geraghty blueprint and get themselves noticed by the top yards so that one day they can gun for the jockey’s title. Those are the guys I want to concentrate on and today’s post highlights three young jockeys who I think can make a big impact in forthcoming seasons. Spotting jockey’s at the start of their career can be a profitable pastime. Especially if you think that jockey is well worth his claim. The wider betting public will often be put off, rightly or wrongly, by a jockey they don’t know or are not overly familiar with. The upside of that for us shrewd punters is that the horse being ridden by the young jockey we earmarked will often go off at a couple points higher than it should; giving us that wonderful position of a value price. So, which three young jockeys have caught my eye? The fact Nicky Henderson has stepped in and offered the youngest son of Peter Bowen the job as conditional rider at Seven Barrows, aged just 16 and with only 70 rides under rules, tells you all you need to know about this lad. It took him only four rides to get his career up and running, winning on his dad’s horse Curious Carlos at Cartmel, and he’s simply not looked back since. A number of people have mentioned him as a potential future Champion Jockey and it appeared that a few of the top yards had hoped to snap him up for the season ahead, the fact that he’s under the tutelage of former Henderson stable jockey Mick Fitzgerald probably helped sway the decision towards the Champion Trainer being the lucky one to secure his services. Bowen senior will be hoping he can still utilize his son from time to time with stats like that, albeit I imagine Henderson will be ultra-keen to make use of the young riders claim as much as he can himself. It’s still very early days for this young man and as such I don’t have much in the way of stats to get stuck into with him, however, I couldn’t leave him off the list as he is by far and away the most exciting young talent in the jumping game at present, this side of the Irish Sea anyway. He still has plenty of learning and improving to do but that will come with time, the main thing with this lad is that the raw talent is very much there, as highlighted by the fact he set a new record for a novice point to point rider earlier this year when riding 30 winners in a season. This lad has been a bit more of a slow burner than Bowen (albeit not many hit the ground running in the manner Bowen has!) but he’s really started to kick on in 2017, with 14 winners since January 1st and eight of those winners coming this season alone, from only 34 rides (currently running at a 24% S/R for the season). If you consider the fact his stats for 2016/17 were 9/56 and he’s currently sitting at 8/34 already for the 2017/18 season, then it’s clear to see something has clicked with him and he’s really starting to get in the groove. That makes perfect sense, however, as his claim can be used to it’s full potential in these races. Clearly a young man who feels no pressure to be riding a fancied horse, in fact those stats suggest he positively revels in the fact he’s on a horse that’s attracting plenty money. Secondly, he has the skills to match the awesome name! He had been on the periphery of my radar at the end of last season but he fully caught my attention 10 days ago when riding a double at Newton Abbot for his boss Evan Williams. He was stylish and composed in the saddle on both those rides, with the wins taking his seasonal total to 9/48, already someway ahead of last seasons total of 4/32. Like with all these young jocks it’s still early days on the stats front but I have noticed a developing trend amongst his wider figures. It is early days for Bastyan but those are very tasty figures over the staying trips and gives a strong indication that he’s not short on patience and already has a decent clock in his head. Those winners have come for a spread of trainers as well (Brian Barr, David Bridgewater, Simon Hodgson & Evan Williams). These three youngster all look on a serious upward curve and all should be given enough firepower this term to bag themselves a plentiful supply of winners as they make their way up through the jockey ranks. Usually I wouldn’t expect the jockeys highlighted in this post to be making much of a splash at the major meetings until a couple seasons down the line but this trio could be different, especially young Bowen. If Henderson lets him loose on some of his handicappers to make maximum use of his claim I could really see him bagging a decent pot at some stage this season, and he doesn’t seem like a young lad that would be phased by that responsibility either. Have any young jockeys outwith the top echelon captured your attention? Which claiming jockey do you think will make the biggest splash this term? p.s. the latest Free NTF guides are coming along sweetly and I’ll be releasing them to members of the free list very soon. Not yet on that list?